J & L X-Press supplies safe, efficient, price-driven Flatbed Trucking service throughout Michigan, the Midwest and across the US. 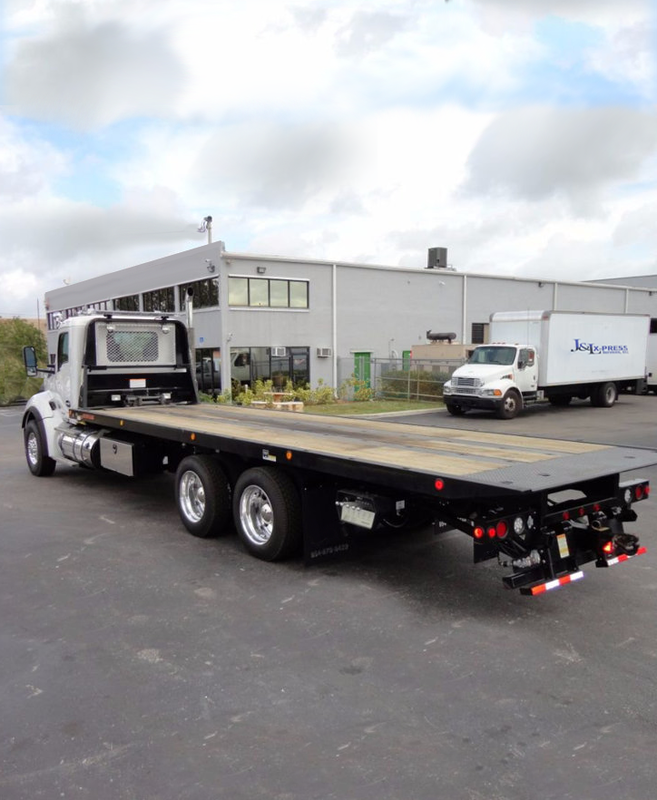 When you need to transport goods, materials or special equipment in loads that are wide, over length, over-dimensional, over-sized and/or overweight J & L X-Press has you covered with our turnkey Flatbed Trucking services. We have the flatbed trucks, drivers, equipment, and expertise to safely move your largest and most critical freight shipments. And we offer a wide variety of flatbed trailer types – designed to fit any shipping need including unique size, shape, weight or method of loading. We also provide the right sized tarps – and the proper tie downs, strapping and chaining – so that your freight will be protected and ready for use at its destination. And our team of permitting experts will obtain the permits required by state or locality to move your shipment using our flatbed equipment. J & L X-Press supplies Flatbed Trucking services on both a Less-than-Truckload (LTL) and Full Truckload (FTL) basis. Our flexible Flatbed Trucking services are also ideal for construction sites as well as other shipping points that have no available dock – or that require quick loading and unloading for projects with time sensitive schedules. No matter what your fleet needs, J & L X-Press fleet services can maximize your transportation network to help drive profits while also improving efficiency. J & L X-Press takes great pride in providing a culture of safety, quality and unparalleled customer service. Call us today to learn how we can help you achieve logistics efficiencies, maintain reliable capacity and control costs with our Flatbed Trucking services.